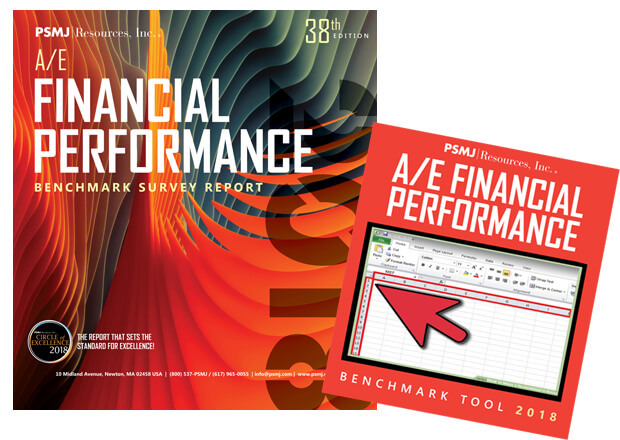 How does your architecture or engineering firm's financial performance stack up against the competition? 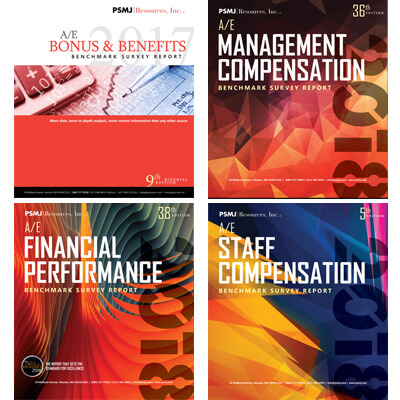 Where do you excel and where do you fall short compared to firms of similar size, type, or market sector served? 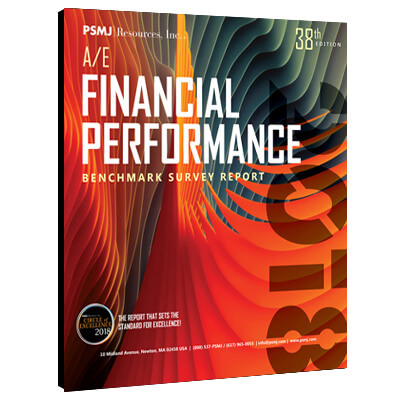 PSMJ's 2018 A/E Financial Performance Benchmark Survey Report has the data you need to answer these questions and more. Ships June 2018. Benchmarking against mediocrity achieves mediocre results. 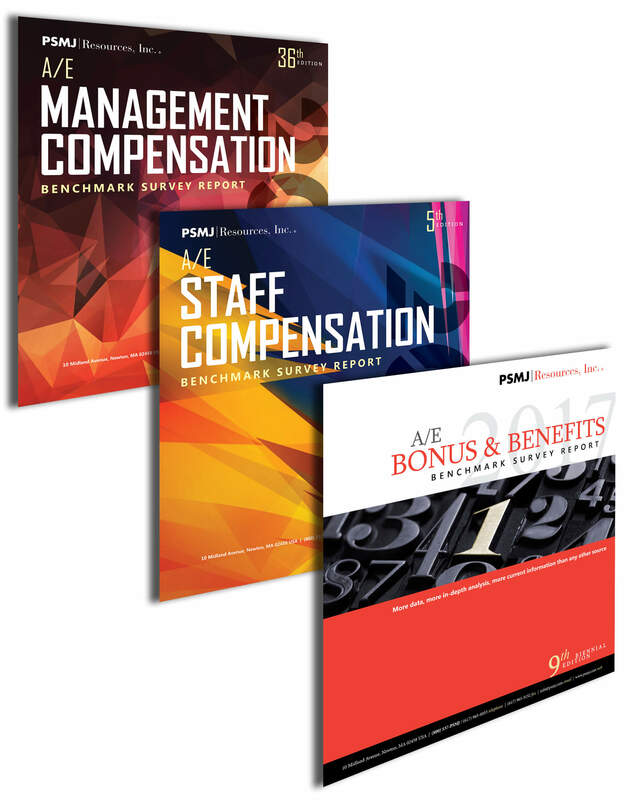 Benchmarking against the best-in-class performers is what brings your firm’s growth potential to life. 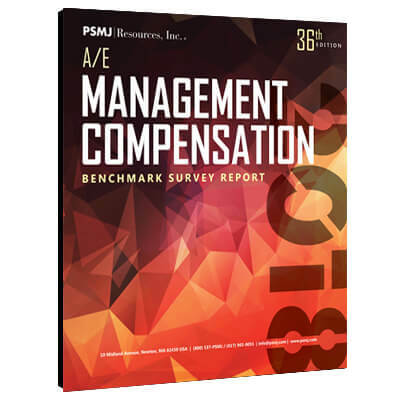 While the need to attract and retain high performing employees is at an all-time high, PSMJ consultants have found that reliable A/E industry compensation data based on years of experience is difficult to find. Ships May 2018. 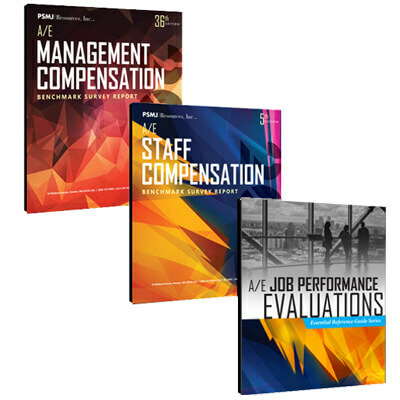 Compensation is a hot topic firm leaders position to not only keep key staff but also attract high performing employees! Are you paying too much or too little? 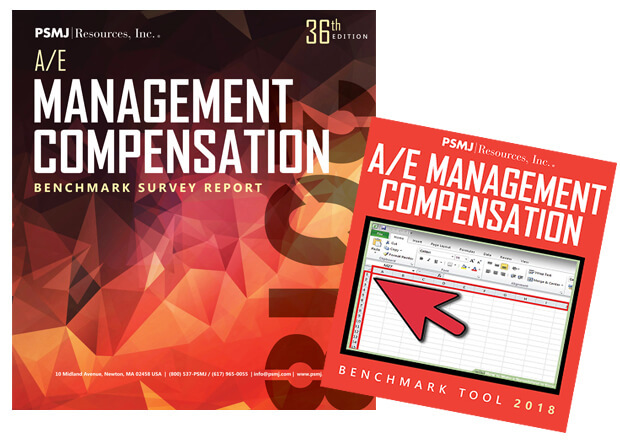 The 2018 A/E Management Compensation Benchmark Survey Report has the data you need to know how your firms compensation plans stack up against the competition. 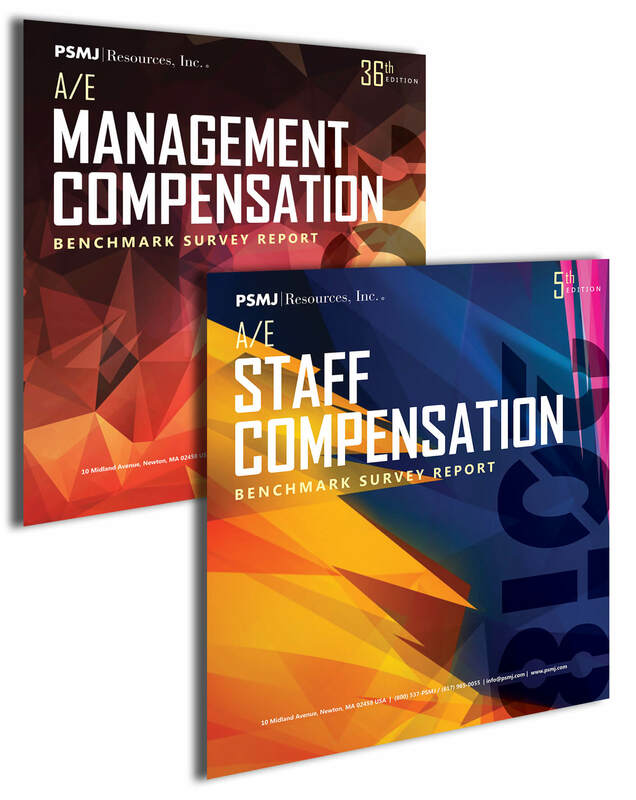 These TWO comprehensive reports take you deep into management and staff salaries as well as other compensation elements, perks, and much more. 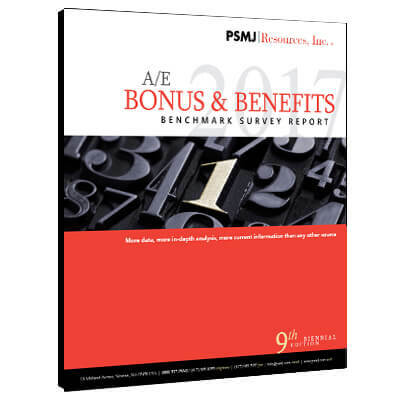 PSMJ’s A/E Bonus & Benefits Benchmark Survey Report is so much more than a few data points on performance bonuses and health insurance. 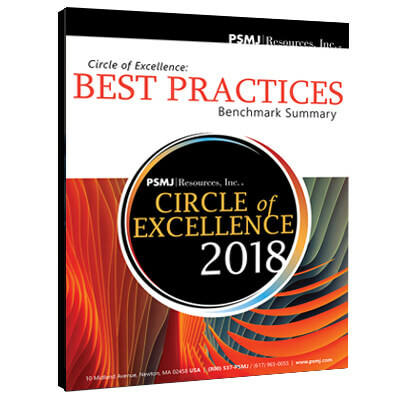 It digs deep into exactly when, where, and how the architecture and engineering industry’s top performers are delivering on the promise to keep their top performers engaged and productive. 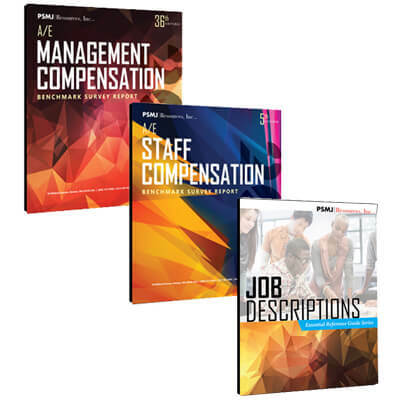 These THREE comprehensive reports provide exclusive industry and peer-level data for salary, bonus, total direct compensation, time allocations, billing rates, and much more. 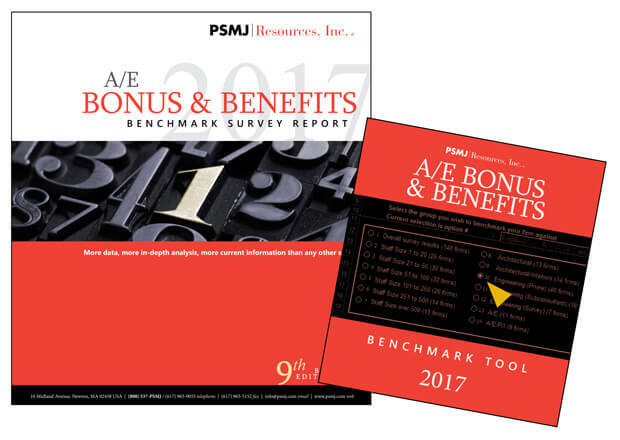 PSMJ’s 2017 A/E Bonus & Benefits Benchmark Survey Report and 2017 A/E Bonus & Benefits Benchmark Tool Bundle. 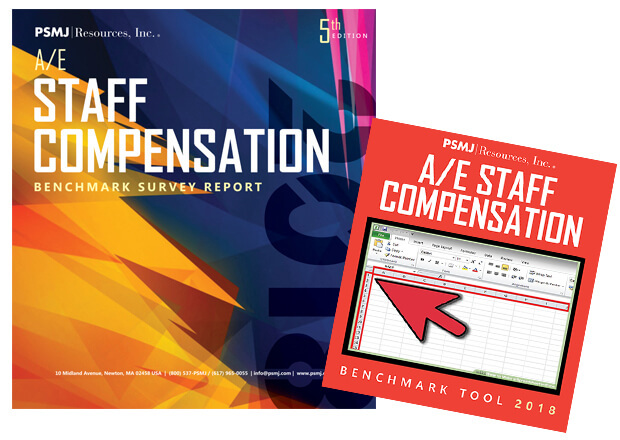 Benchmark Survey Reports | Complete set of all of PSMJ's 2018 A/E benchmark Survey Reports + PSMJ's 2017 A/E Bonus & Benefits Benchmark Survey Report. 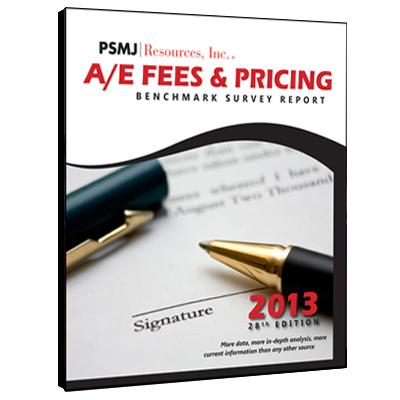 What is your architecture or engineering firm really worth? Whether for an external sale or internal share transfers, here's your source for the most reliable data to answer that age old question. 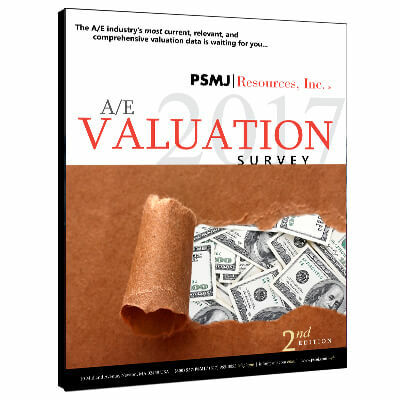 PSMJ’s 2017 A/E Valuation Survey and 2017 A/E Valuation Survey Tool Bundle. 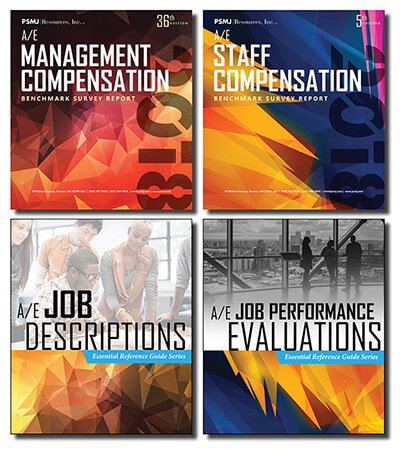 The top-performing firms in the architecture and engineering industry are not only achieving greater profits (43%), but are growing their staffs exponentially (28%), and generating record setting labor utilization rates (75%). 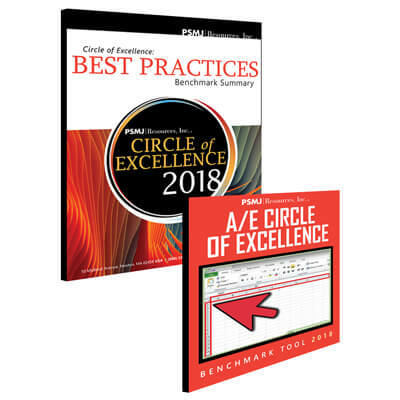 This 22-page report includes data comparisons from the 10th to 90th percentiles for each of the 13 metrics used to determine the Circle of Excellence. Firms on the fast-track to excellence don’t benchmark against those who achieve unexceptional results. Those who are ready to strive for excellence look toward best-in-class performers to bring about true potential. 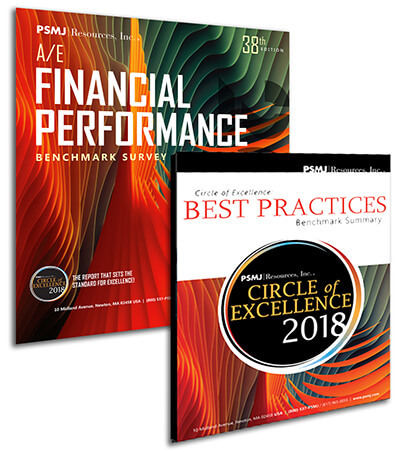 PSMJ’s 2018 Circle of Excellence Best Practices Benchmark Summary and tool allows you to compare your firm to the top 20% in the industry across 13 key performance indicators! 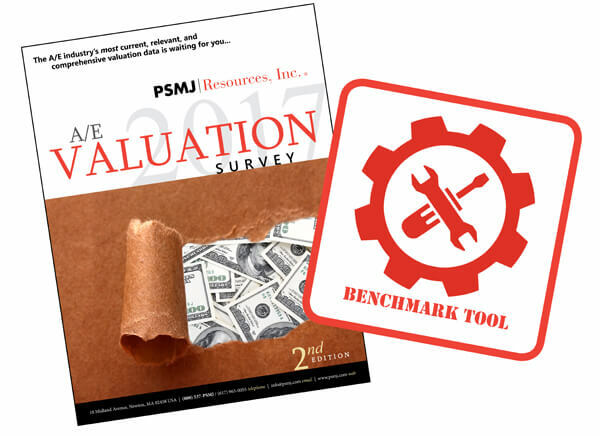 Strengthen your proposals and win more projects with solid, well-researched pricing data. Don't leave money on the table with your next proposal!